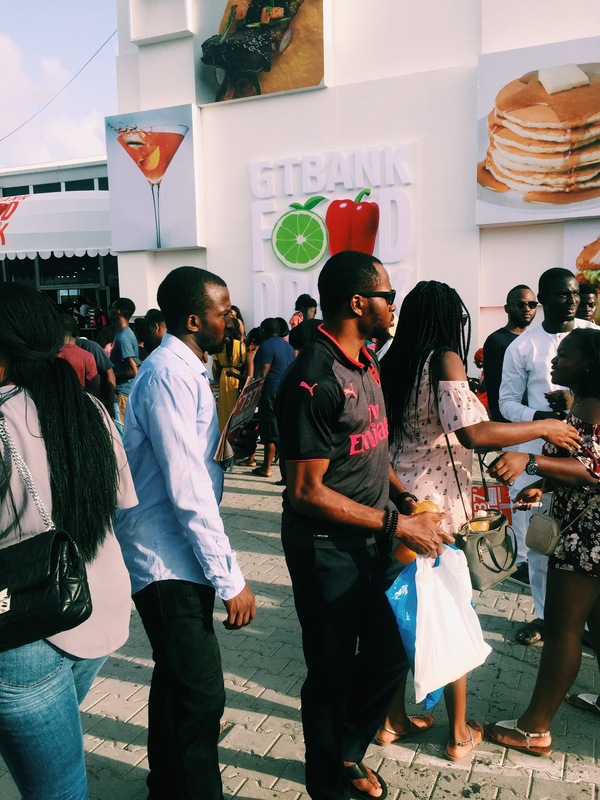 Life Lately||Throwback to GTBank Food & Drink Fair X Mystery Blogger Award – Just Bella! My highlight was when we found “That good Tapioca” stand, i’m still amazed that she could transform tapioca in that manner, her tapioca flavours are all Ajebors. Wait, do you know what tapioca is? Tapioca is a starchy pudding made from cassava, like pap, but it doesn’t have a smooth consistency like pap, it has “koko” that is lumps. I had chocolate flavour and shavings, that I don’t remember but tasted sweet, while my friend had, the regular with M&M toppings. Check them out @thatgoodtapioca on Instagram. Later on we had glazed corn cobs from Corn Nation, @cornnation they say their corn has a Phd, Lol! initially I had reservations, but the foodie in me just had to try it and I liked it. PS: Sasha P, the musician was the one who made ours. Extra seat were announced for one master class, but security won’t let us in, because we had food(corn cobs in a plastic pack), which wasn’t allowed inside. By the time we were done eating, they said there were no more seats. 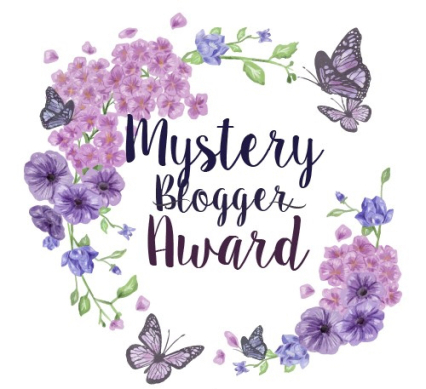 Like I stated earlier, I was nominated by Sim of ‘Sim’s Jollies & Jaunts’. 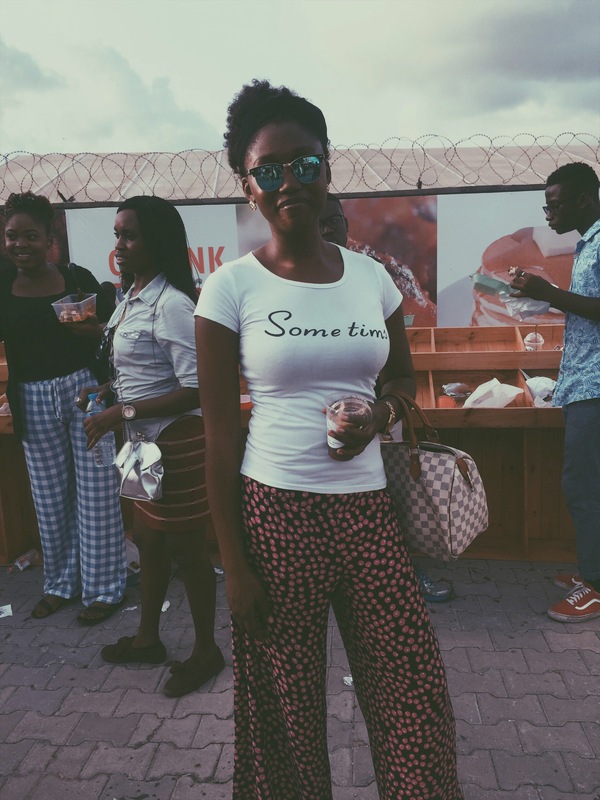 Sim’s blog is like her personal space, which she invites you in and takes you on a journey of well put together words, thoughts, opinions, stories and rants. You should definitely follow her and subscribe, to get her gists first hand. Share a link to your best post (s). When I was younger, I had to cry before I go to bed, even if there was nothing to cry about or someone to beat me, I had to look for ways to cry. Genuine cry with real tears. I love bread! Good bread. Do you sing in the shower? I rarely do. I sing most while cooking. Outside blogging, what do you do? I work as an HR Personnel, also currently serving our Fatherland. How do you feel about women talking down women? I feel strongly against it, if we keep our differences aside and help each other in little ways we can, we will surpass our dreams, ambitions and imaginations. Do you think a public embarrassment deserves a public apology or any apology is fine? It doesn’t have to be a rule, but then, yeah. If aliens invaded earth and you could only take 3 things (not humans). What would you take? My bible, My phone and charger, hoping there’ll be electricity and internet. what are the top 3 songs on your current/favourite playlist? Do you have a mantra? what is it. If you were president of your country for a week, what would you do? What movie or book would you love to see or read over and over, tirelessly? Good Luck! You know you don’t have to, if you don’t want to. Ayeeeeeeeeeeee, thank you so much for the nomination dear, it was awesome getting to know you better.